A new report scrutinises recent hirings for Google's chip design efforts in India. According to Reuters, via The Verge, Google is poaching engineers from the likes of Nvidia, Intel, Qualcomm and Broadcom for its gChips team in Bengaluru. 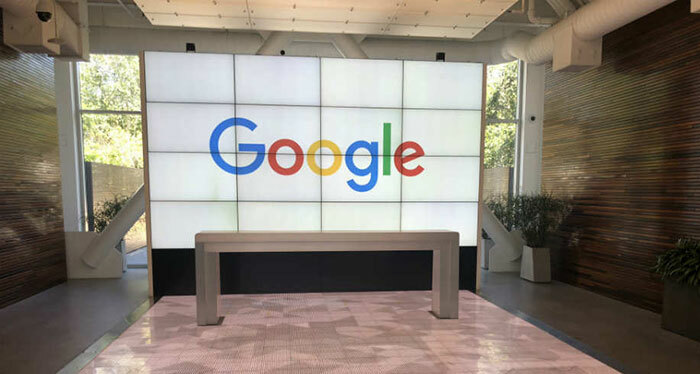 The highly qualified engineering personnel will be put to task on Googles efforts to expand its chip designs for smartphones and data centres. The last HEXUS report on Google's in-house chip design efforts looked at the TPU 3.0 rollout back in May last year. At Google I/O this new generation Tensor Processing Unit, behind a lot of the AI improvements in key Google apps, was discussed. Giving an example of the application of the new TPU 3.0 parts, Google CEO Sundar Pichai said that the latest compute pods, server units stuffed with third generation TPUs were "eight times more powerful than last year's version - well over 100 petaflops". Interestingly, Nvidia hasn't been pleased with Google's progress, or various AI and deep learning benchmark comparisons previously highlighted by Google. Google TPUs are for AI and deep learning data centres. However, these new reports suggest that Google is interested in copying Apple in developing smart device processors too. Thus the hires from Nvidia, Intel, Qualcomm and Broadcom could well be put to task on application processors and modem technology. The Reuters source thinks that the gChips team will be 80 strong by the end of 2019. At the time of writing there were 13 Google job postings for positions at Bengaluru. Meanwhile, four talent recruiters are working hard to pick and poach chip designers and engineers to strengthen the gChips project. Makes a change from Intel poaching AMD's. lol.